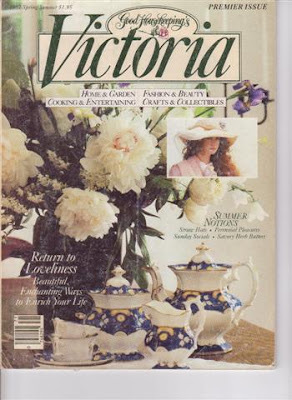 As March howls and screeches its way out, as it usually does, I want to be sure and post pictures from the first issue of Victoria Magazine in 1988. 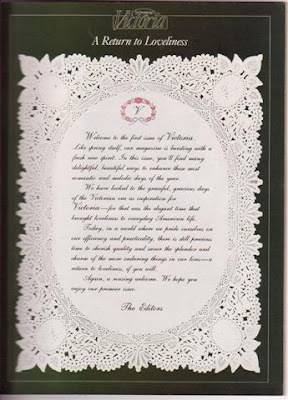 The letter from the editor was printed in script on a lovely piece of paper with lace edging. 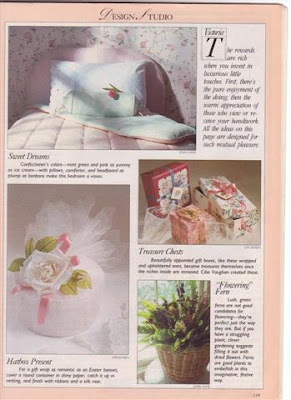 One page featured gift wrap ideas using fabrics and ribbons, and a bit of netting covering a rounded box and topped with a chiffon rose. 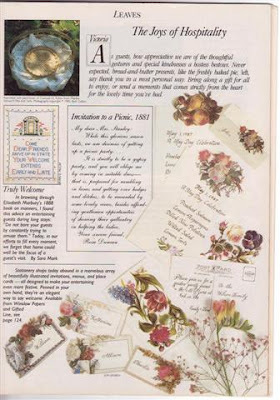 This page quoted from an old ettiquette book, and featured a picnic invitation, as well as samples of calling cards. 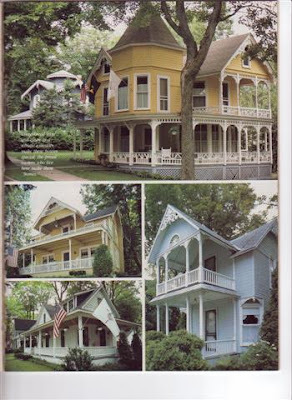 Have a look at these Victorian Houses, which today are often called "painted ladies." You can click on each of the above pictures for a closer view. 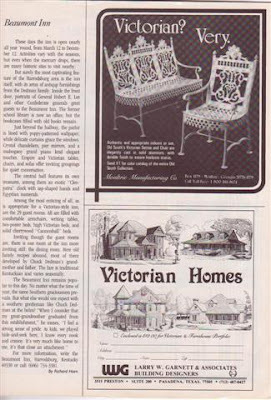 This page was a regular feature in the magazine, showing house plan offers. 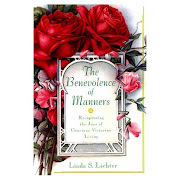 Though this publication was never perfect, and almost from the beginning had ads in poor taste that did not reflect the theme of loveliness in the magazine, it truly echoed the desire of women to make their homes and their daily living sacred. It was lovely to have the things we believed in, such as manners, modesty and respect for hard-earned property, both new and old, re-enforced by the photographs, drawings and articles in this magazine each month. The home is a sacred place. It is not a public building that anyone can walk in to. 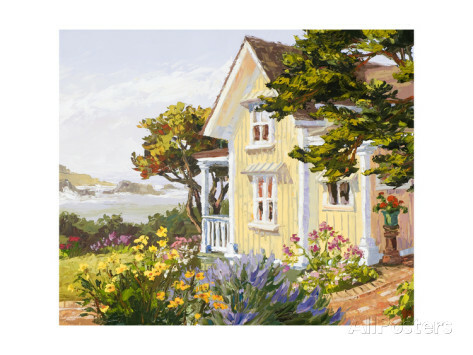 It is a place where the woman of the home decides the tone of the day atmosphere of the house. It is not a place where people should be allowed to cause destruction by tearing down, either with words and attitudes, or with their feet and hands, or through neglect. It is not a place to be treated with less regard than we would a trash bin. It is a place that houses human beings, the best of the creation, for which God prepared the earth. 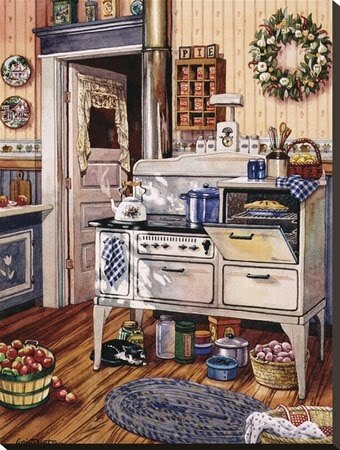 That first dwelling place had everything that was needed, and today, we as homemakers, can make the home a place that fills the needs of the people entrusted to our care: our husbands, children , parents, and others that we are responsible for. Publications which show the beauty of the home are always a delight and always a stimulus to the homemaker who really wants to inspire love in her home. I peeked into my statistics today and noticed some visits from Persia. Welcome and thank you so much for viewing!.Persia brings to mind the famous gardens and woven rugs and tapestries, and a land filled with color. If you are in Persia and have home making blogs, be sure to let me know and I will add you to the international links on the side. The Bible speaks of the two great rivers in Genesis: The Tigris and Euphrates, where civilization began. This location is the basis of much of our reading and study of the Bible. I'll be back to pass it on to other blogs I like. This is a continuation of the book by Lydia Sigourney, written in 1833. You have been told that He sees you at all times, in darkness as well as at noonday. You have been taught that He hears you when you speak to Him, and that He is able to grant our requests. He permits you to call Him your Father in Heaven, and to pray to Him when you are in sorrow an din joy. Good people of every nation, have found comfort in prayer. Little children have often loved to pray...My dear children, ask your Father in Heaven to teach you how to be good, and to be happy. Without his aid, you cannot perform your duties aright. 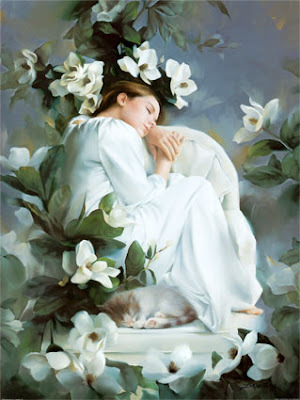 Never lie down to sleep, or rise in the morning, without prayer. And throughout the day, if you are in health and joy, or in sickness and trouble, if you have done your duty, or been guilty of faults, lift up your heart to Him who can hear the faintest sigh, though the lips utter no sound. If you awake in the silent hours of the night, and all is dark around you, pray to the God that never slumbers, and who amid the loneliness of midnight gave wisdom the the child, Samuel, and made him a Prophet mighty both in word and deed. They know what is best for you. Because they are wiser than you, and love you better than any other earthly friend. God has made them your guides. Perhaps you cannot always see the reason of their commands. It is not necessary that you should. Your business is to obey. If you live to e as old as they are, you will perceive that their restraints were for your good. He is the wisest child, who yields most readily to the will of his parents. Some children have no parents. They are called orphans. It is the greatest loss that can befall a child to lose affectionate and pious parents. While you have the blessing of kind parents, never distress them by disobedience. The best payment that you can make to them for all their watchings by your cradle, their continual care for your comfort, and patience with your errors, is to do cheerfully and faithfully the things that they desire. When they are absent and do not see you, observe their commands as if they were present. The child who only obeys his parents when their eye is upon him, has not learned obedience. God, who seeth at all times, and in every place, will be displeased with those who deceive their parents. He has promised to reward those who "honor their father and their mother." Therefore, those who obey their parents, are pleasing in His sight. 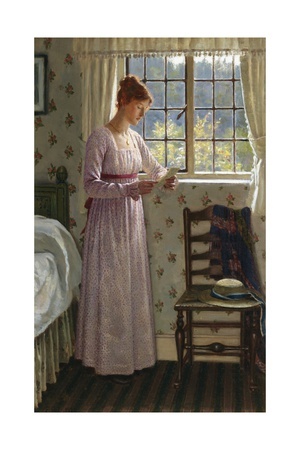 She also wrote "Letters to Young Ladies" in 1833, which I have not yet found available on line. My friends, when you read things written in the past and get a glimpse of what words and beliefs made up the character of the majority of the American people, you can see how far away we have fallen from good sense. Parents need to make sure that their children are respectful and not deceitful. It is, after all, for their own ultimate good and will give them good success in life. Teacher's Tantrum --Can you imagine home school mothers and fathers refusing to teach their children because they were throwing a fit over money or political issues? Toward Marxism -- a special forces, Green Beret officer warns about the tell-tale signs of Marxism in America. Marxism is dangerous and anti-Biblical. You've heard the propaganda excusing Marxism, Socialism, Totalitarianism, Communism, and other "ism," that "there wouldn't be a necessity for it if there had not been a vacuum for it in society." In other words, there is a popular but false belief that existing society was so bad it brought on the evils of communism or Marxism or socialism. This is a false statement. What really happens is this: Communists desire to control, so they must remove the barriers that prevent them from taking over. They have to dismantle the existing government, religious beliefs and generational held respect for the family and for the past. They do this by infiltrating the education system, the courts, the government and the free enterprise system, corrupting it in every way they can. It creates so much grief and despair, that they say, "Look there is a vacuum here created by the old government. We will help you by replacing it with our new government." So, they create commotion in order to get rid of the peace, so that people will submit to anything just for peace or a promised better life. Communism always destroys. It never builds up. Under it, people will be happy the first couple of years as they get some free benefits, but when the government takes over all industry, all enterprise, and all family and education, people will adopt the mantra so common in former communist countries: "The government pretends to pay us, and we pretend to work." Once again, the belief that Marxism only comes in to a country when a society is corrupt, is false. Rather, Marxism creates the corruption and then offers itself as a solution. Creating a problem first and then offering a solution is an old, old trick. For those not interested in politics, I have a few interesting posts coming up here in the next few days. So put the kettle on, open the tea caddy, warm the pot and break out your favourite tea dainties (I'll give you my savoury Dill Scone recipe) and make a stand against the insanity!! How on Earth the Govt thinks it will cure the economic crisis by simply bailing out the ratbags who got us into this mess in the first place (when they should be tossed into jail and the keys thrown away) beggars belief!! A report upon ABC 702 local radio yesterday estimated the total debt carried by the US govt. now to be around 8-9 trillion; yes, TRILLION!! courtesy of both the Bush and Obama administration's profligate spending upon war and baling out crowned financial criminals!! Dr. David Suzuki was on 702 yesterday morning decrying the economic terminal disease that governments (and increasingly cultures at large) have indulged in since the conclusion of WWII. Now I know DS has much to say on a variety of issues that are antithetical to Christianity, but on this one he's right on the money!! so have a cup of tea, and so will I!! Why do I have the most immature wish to send emails brimming with 'Ron Paul' typed 100 times?? (sorry, but its the Larrykin Aussie humour peaking out a bit) let 'em, watch me; perhaps our SAviour will be able to reach them, and teach them, a few genuine home truths while they're at it. I do not think I've had such a hearty laugh in a long time, as I had while enjoying "Swayamvar." As many of my detractors have stated, I am still "living in the past," and that is why I am just now catching up to a picture that was filmed over 20 years ago (1980). It is now available on Netflix in instant play. What a treat this movie was, with all the attributes of Charles Dickens "Prince and the Pauper," and "Our Mutual Friend," along with Shakespeare's "Taming of the Shrew," combined with Elizabeth's Gaskell's happy ending in "North and South." I liked it so much, that in respect for the people of India, I am going to dress up and watch it on the big screen later on tonight, to get some screen shots for this post. I was particularly taken with the stage-set itself, with its pretty architecture. I found myself looking at it, more than the story, but I enjoyed both, very much! The story centers around a woman with two daughters and a man with two sons. The woman's husband had passed away, but when he was living, had given a servant he liked, some money to help him find a profession. 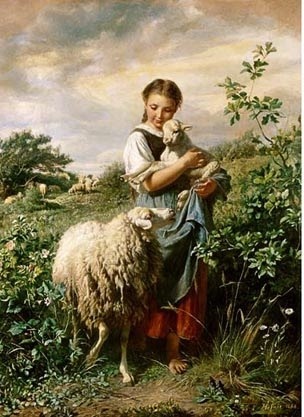 The servant became quite wealthy and when his sons were grown, he wanted them to meet this woman's two daughters. Since becoming a widow, her brother, full of evil scheming to take over her estate, has influenced her in every decision, so that when the former servant comes for permission to introduce his sons, she turns him down flatly. The man goes home and sadly tells his sons of his mis-adventure, whereupon they hatch up a scheme to introduce themselves to the two young ladies. One becomes a servant, and the other poses as a wealthy entrepreneur, who gives away money to charities. In this method, the girls become acquainted with the young men. "This is the story of Cinderella with a wonderful Bollywood twist. One of the daughters goes from rags to riches and the other goes from riches to rags to riches again. Even the stepmother reforms! Good fun although in the Watch Now version parts of the transfer are dark, and the songs are not subtitled - I'm not sure about the dvd." "I really liked this movie. It was so cute. It really teaches you to be good to others no matter what your status is. The story is told really nicely. A good film to kill a Sunday afternoon. :) Enjoy!!" Though it is captioned in English, the actors in India are so good with expression and body language that one does not even need to know the language to guess what is being said. Yes, I am 20 years behind in reviewing good films, and this was certainly worth the wait. Although there was no immodesty, and not even a hint of anything explicit, this is not for children. It is the kind of film young adults would enjoy, and you can watch it with your mother in law without embarrassment. I like the fact that the actors in the Bollywood films I have seen so far, do not actually kiss each other as they do in Hollywood, but, using the camera at a certain angle, make it appear as though they really are. I guess I appreciate that a lot, since kissing should be reserved for only the most important people in your life. Those who want to understand more of this country might enjoy reading an online book called "The Portrait of the Complete Woman" by Avinash Chandra. This is the introduction to a little book written in 1833. It has more clarity when read aloud, with proper expression. It gives you a glimpse into the character of the teachers, parents and children, who were raised with these values. I write this little book, because I love you and wish you to be happy. I like to see children contented and pleasant, smiling when they speak, and attentive whey they are spoken to. Such children have more friends than those who are fretful. They make other people happier, and are repaid by their love. A child who has a cross look and a complaining temper is disliked and avoided. But you cannot always be pleasant, unless you are happy. If your feelings are wrong, or you have displeased your friends, you cannot have a cheerful heart or a sweet smile upon your face. If you desire to be happy, you will be willing to take pains to learn how. 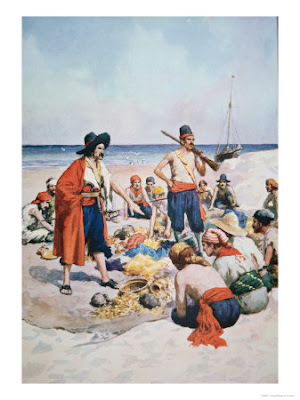 If you wished to understand a trade, or a profession, to build a house, or to cultivate a farm, or to guide a vessel over the sea, or to be a merchant, or a physician, or a clergyman, you would be required to spend some years in learning. You would expect to work as an apprentice, or to study as a scholar. 3rd - Love good things. To render these more simple, they may be still further divided. 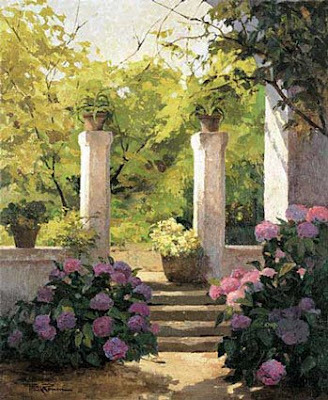 They may be compared to a flight of steps leading to a beautiful house, where you wish to go. Every one that you ascend, brings you nearer to its entrance. Let me take hold of your hands, every one of you, and help to lead you up these steps to the temple of goodness. For it is the temple of happiness in this world, and the temple of happiness in the world to come, is Heaven. There all good people of every kindred and nation, meet and dwell together forever. Let us begin then today, to study the alphabet of happiness. And its Alpha and Omega, that is, its first, and its last letter, is to "remember your Creator." This lady was a young school teacher who wrote this poem. When I read it aloud, it reminded me of so many home school Mama's, who think they will just spend a few hours on one subject and then be done with school for the day, but the children continually want to know more. This poem is best read aloud. My little ones so soon. "You must dismiss at four." And stay a little after five, and tell us something more!" "Oh, teach me something, too!" Should deign to peep at me. We must have lost our way." My friend, I cannot go. Modest clothing provides protection and respect: two things that are highly valued in our society today. We are responsible to help our daughters dress in such a way that will not just protect them, but give them a clear conscience. (They should not willfully dress provocatively.) We have a duty to teach our daughters to dress in a modest way; a way that does not attract a dangerous kind of attention, but rather, will draw respect. Modesty is one way they can protect themselves from the prying eyes of those who wish to do harm. It is also a way to be treated with dignity. Like our Heavenly Father , earthly parents should guard their children jealously and protectively, just as they guard their homes and their valuables. When the Bible speaks of God as a "jealous" God, (Exodus 34:14), it simply means that he guards and protects and oversees what is His, and does not want His teachings usurped or changed by others who would claim they are experts or authorities; those who would teach things outside of the teachings of the Bible. Parents need to have the same feelings towards their children and be "jealous" over them, so that they will grow up in safety and security. This certainly applies to the styles of clothing we allow our children to wear. These same people understand the concept of protecting their personal belongings, such as cars and houses, by securely locking the doors. They understand the purpose of closing the drapes on the windows of our homes, for privacy and safety, but they refuse to understand this in respect to the safety of women. Are not these young women more valuable to them than material possessions? Why then, is it so difficult to apply the same principle of protecting them? Cars, houses and possessions can be recovered, repaired and replaced, but a daughter lost because she was not protected, cannot be replaced. Teaching our daughters to drape themselves in modest apparel is an ounce of prevention against future adverse influence and harm, both spiritually and physically. Before electricity and refrigeration were available in the northern wilderness areas, it was necessary to store food away from wild animals, in a cache. It looked like a tiny cabin on stilts. Would it have made any sense to insist on leaving the food in a box on the ground, knowing that it would attract wild animals, and then claim to be a victim of animals that were just doing what animals do when they catch the scent of food? For some reason, people have a mental block when it comes to protecting our daughters from danger, yet they understand perfectly well how to keep their watches, cellphones, wallets, and even their own food, safe from those who would be lured to it or from those who lack self control. Being “in style” seems to be one of the biggest barriers to modesty. Some women assume that modesty means they have to dress like pioneer women. Most stores have very immodest clothing, and it is difficult to find anything modest and feminine. Older women also have difficulty finding appropriate clothing to wear. 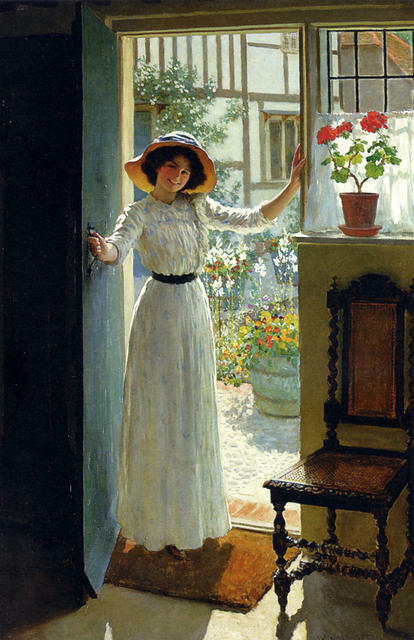 It is tempting to wish we had lived in an earlier era, when women's clothing covered them better and had more beauty and elegance to it, but by using the technique of dressing with the same standards of previous eras of modesty, girls can still wear beautiful clothing that seems to be in style. Since the Bible promises us that there is always a way out of any temptation, (Ist Corinthians 10:13)there must be a way to dress that is both appropriate and lovely. I have noticed over the years, that no matter what outrageous styles are for sale in stores, there is always some appropriate, modest clothing somewhere to be had. When the prevailing culture paraded inappropriate dress, there were always more beautiful alternatives. You have to look a little harder, but the discerning eye can find it. Today, many young women are finding that home sewing allows them the freedom of creativity in clothing. They do not have to be dependent on the designers and manufacturers, who do not have the best interest of young women at heart. Sewing provides an endless variety of clothing, at a more reasonable cost. Home sewn clothing lasts much longer than commercial clothing. Sewing allows more choice and more individual freedom. There is no question that modest apparel has more cloth in it! The draper or seamstress can have a far greater range of creativity when there is more yardage to work with. In the Bible, when the man possessed of devils was healed by Christ, he was found "fully clothed, and in his right mind." (Mark 5:15) Whatever you may think this means, it is interesting that being fully clothed and being of a sound mind are connected, in this scripture. It makes you wonder if the clothing we see on women today is created by designers and manufacturers and advertisers that do not have sound minds or even good sense. We can deliver these designers from their nonsense by wearing garments that drape a woman's body in a more beautiful and modest way. We live in a nervous world. More and more girls have panic attacks and feelings of uncertainty. Modesty gives a feeling of confidence. When more adequately draped with cloth, young girls do not have to worry about so many flaws they may feel they have, whether it be a little too much weight, or a lack of an even tan, or lines of underwear showing through. Modest clothing can also aid in good health. When the skin is covered, it is protected from too much exposure to the elements. Too many girls have become very ill, because they wanted to dress in style and were exposed to the cold for too long. It is time to reject these unhealthy designs and help women get back in their "right minds." The way you dress will attract the kind of people that are similar to you. If you sew your own clothes, it will put you in the company of other seamstresses, who will notice your clothes. If you dress modestly, other people who dress modestly will notice and they will give you a friendly smile. Being fully and appropriately covered means that others are more likely to be attracted to your face, where your eyes and your expression give a message. If you find that unwholesome types are looking at you and making crude remarks, have a look at your clothing: is it tight? Is it short? Is it low? Is it see-through? Too revealing? One of the easiest ways to develop modesty is to wear clothing with good fit. If it is too tight, it will reveal every extra bit of weight and create attention to the most unflattering parts of your body. Modest clothing tends to cover these kinds of problems. http://www.bygrace3.blogspot.com/ - you can find them in my category listing Modest Dress. 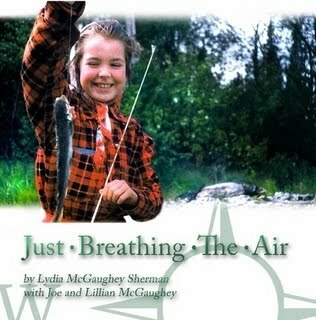 If you want to read more about this poet, click here --http://www2.soe.umd.umich.edu/quigley/book_index.php?link=61 and have a look at the illustrations in the books she wrote for children. 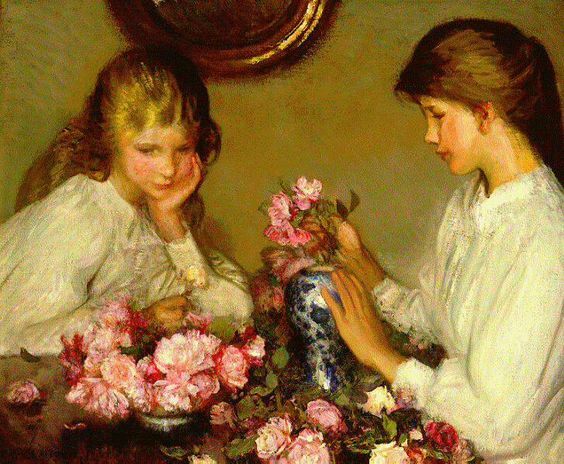 This simple childhood poem has a big message for any female from 2 to 92. When resourcefulness and busy-ness is taught early in life, people tend to be happier and more content in life. One thing that busy-ness will teach you, is that no matter what others do to take up your time or discourage you, you have lovely endeavors that will always absorb you. Many young girls have discovered the exhilarating joy of living a life of giving. If a girl is careful to live by the words of poems like this, there can never be any need for boredom or idleness, and say this straight from the heart. When a girl is aware that time slips by and can never be recovered, she will come to see the difference between wise thinking and harmful idleness. Study: After completely academic studies, a girl should be eager to increase her knowledge in various things, and look for opportunities to learn to master various new skills. You can go to The Pleasant Times to look at ancient skills that are gaining new interest these days. 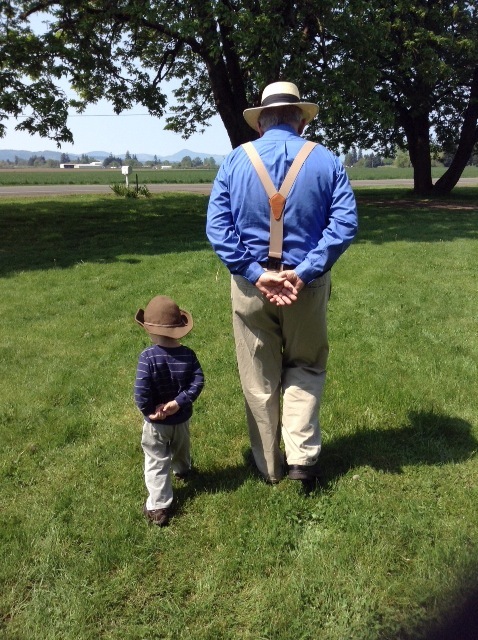 It doesn't matter how old you are, you should be eager to broaden your awareness of the many things there are to learn that will add to your skills and enhance your character. The Bible is an excellent book to study and the book of Proverbs is the best philosophy/psychology book in the world. 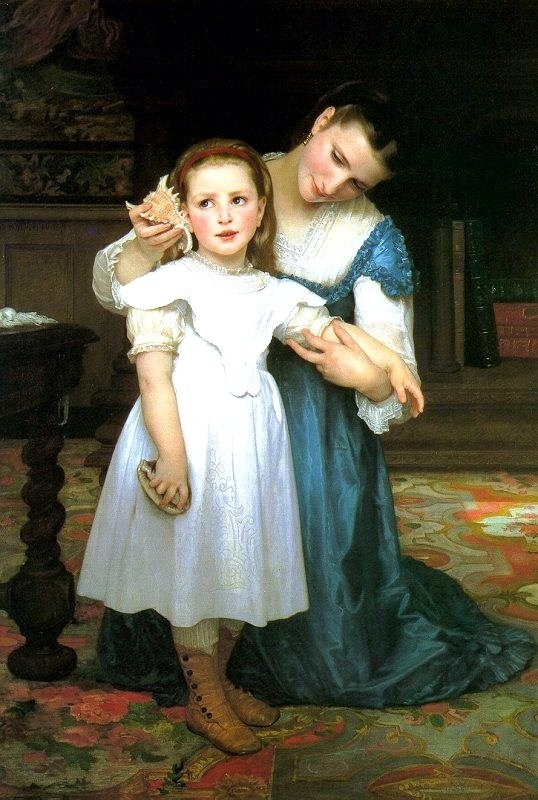 Help the Sick: These days people are reluctant to be around too much illness, for fear they will be afflicted with the same thing, but if you are susceptible to illness, there are still many ways to minister to the sick or the shut-ins. Baskets, which have been around since before Moses, are a perfect vehicle to deliver comfort and love to those who are incapacitated. 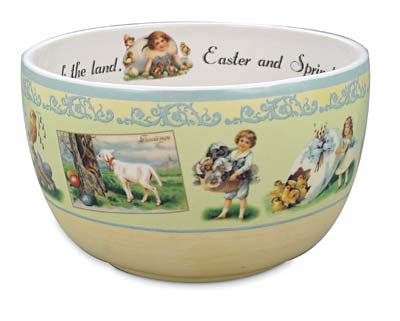 There are books you can read that show how to fill a basket and decorate it for any occasion. You can personally deliver such a gift that is straight from the heart. Consider making and mailing a beautiful card to someone who is not feeling well. Such a gift really does help a sick person get well. Entertain: Home hospitality seems very rare these days and to be invited to someones home is a gift that is truly straight from the heart. To invite someone to your home is to give them part of yourself. The young girl who learns to make an art of this will find the time well spent. 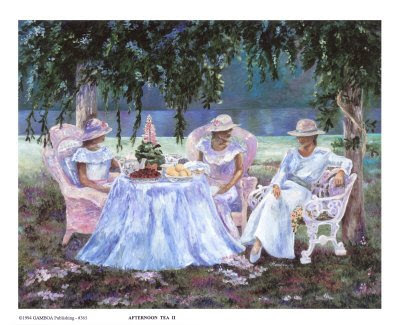 She can begin early in the week to prepare the home, plan the activities, select the tea service, and all the accents. When she gets involved in hospitality, she learns that it is far more involved than it looks. Entertaining is not just a matter of making a cup of tea, but presenting your very best in homemaking and relaxation to your guests, and to prepare for this will require a lot of time. Teach Younger Women: The New Testament is clear on the teaching of younger women learning from the older ones about the family. If you are not an older woman, however, there is always someone who is younger, to teach. I have seen older girls teach younger girls how to knit and sew or bake or wash dishes and sweep a floor, and serve their families in many ways. If you know something good to do, it is very motivating to share it with someone else. Invite younger girls over for a card-making day or a book report day, or any number of things that enhance the lives of others. One-on-one tutoring is the most effective kind of teaching there is. Steer clear of vice: When young women indulge in vice, such as drinking, for example, they will lose a sense of who they are, and forget their many talents. Adam Clarke, who wrote in the 18th century, said "When the drink came into a person, their wit went wholly out of them." 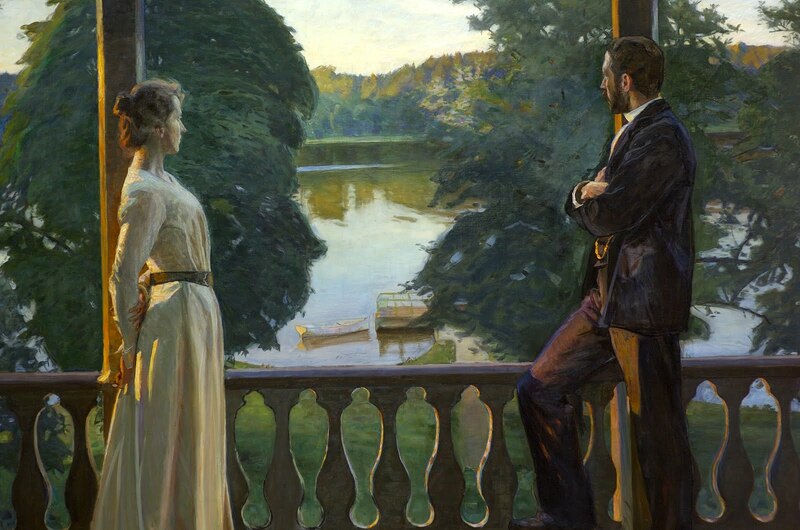 Vice is an inferior choice for young women, and when it is offered, they should choose the superior things that improve their character and increase their learning. Keep Your Eye on Whatever is Good and do not be distracted by attractive new philosophies. The truly beautiful young woman is not someone who wants to follow the cheap styles or try to be more like men, but the one who accepts the way God created her as a female, and does not want to compete with men. 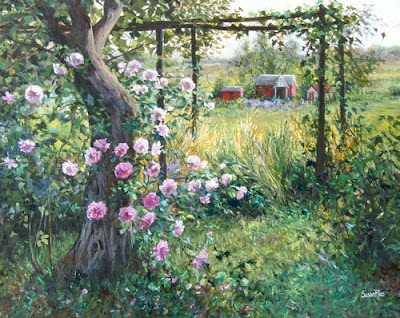 Those who follow the philosophy behind things like feminism and its derivatives, modernism or progressive-ism, will find themselves leaving the paths of whatever is good, pure, lovely, or creative. Don't get caught up in these false doctrines, but stay with the word of God. You will always get what you aim for and it is important to observe what direction people are going in, and where it is getting them. You don't have to be a great sociologist to observe what happens to girls who reject the teachings of their parents or who rebel against the care and protection of the home and family. Be Creative. I can't emphasize enough how important it is to put your hands and mind to something good and useful and productive. The world is full of the problems that occur when people have nothing to do or who choose to do nothing. Remember that even though you are young, you do have an influence on others and you are a testimony to your own upbringing. Creativity is a very big subject that embraces many beautiful things. Try a dip and a dab of everything, and you will find something that appeals to you. Don't be close minded at a young age, but look to learn something. The things listed here will all help you when you have your own family in the future. Imagine checking your mail and getting a beautiful box with lovely things that lift your heart and make you smile. These days, when even a letter is rare, receiving a package containing a lovely book that is calming and uplifting (and glorifies God), a bookmark of the same genre, a recipe book, and several other good things, is truly a treasure. I have seen the online version of this book and want to own it so I can hold it in my hands and touch it and enjoy the sights from the glorious pages, which are "lovely, good, pure, and virtuous." Each beautifully decorated page of this book signifies the "riches and treasures of the home" by detailing the appointments of the home. 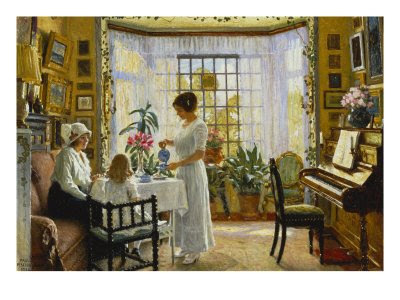 Sections on the writing desk, the dressing table, the tea table, the spice cabinet, and other activities enjoyed at home in previous times, make you realize you can re-create it all inside your own home, especially with the help of this book! 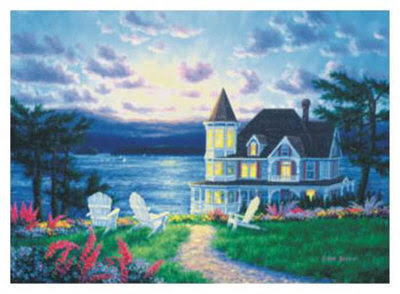 The book is reminiscent of a time when books had the sentimental sketches of the home. At the same time it has a bright freshness that illustrates the soft sweetness that people seek for the home in this day and age. I know you will want to own this book and gift someone else with it. I, of course, am particularly taken with the "humble Victorian art" in this book. 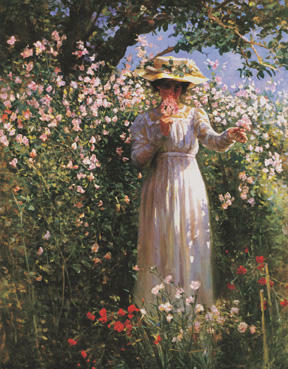 I described this kind of art and put several pictures from old postcards on a previous post here, but this book has even more sentimental versions of that art. 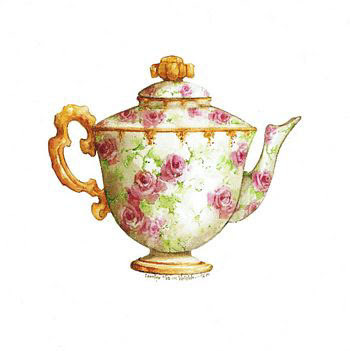 This image is from Victorian clip-art. If you procure this wonderful book, you get a lifetime treasure that will be loved by family members and friends of all age groups. 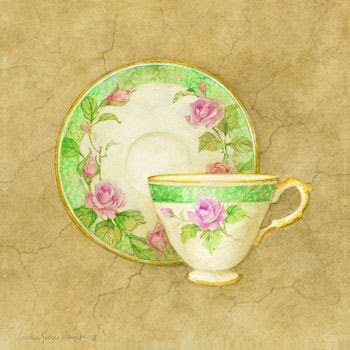 It is something you can be proud to display on a shelf or a coffee table; a perfect gift for a few tea-party friends. 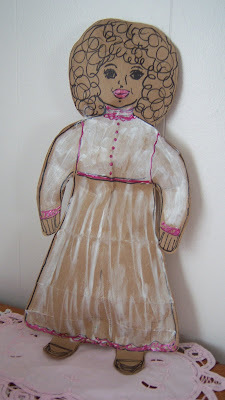 This is a doll made from a heavy paper grocery bag. Our bags are very thick and hold an enormous weight of groceries. This is a special paper that has many uses. 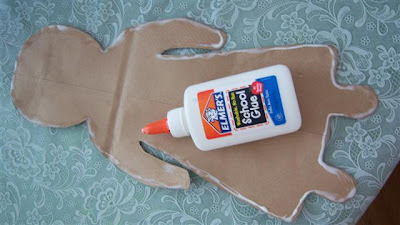 The materials you will need are: scissors, black marker, craft paints, white glue. 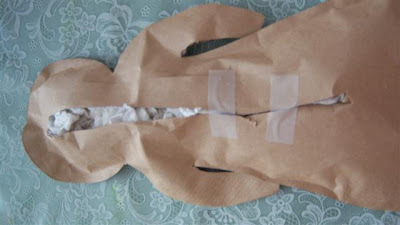 This is how to make a pattern: fold a piece of paper bag in half and draw half a doll on it. 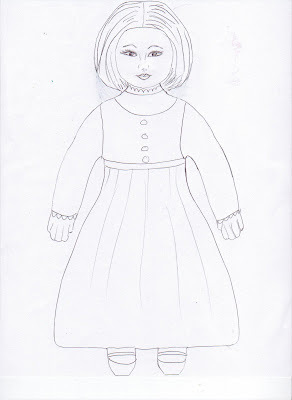 I drew one with an attached dress for the doll you see, above. Then, cut out your shape, open it up and lay it on another piece of brown paper bag to make another piece the same size, for the back. 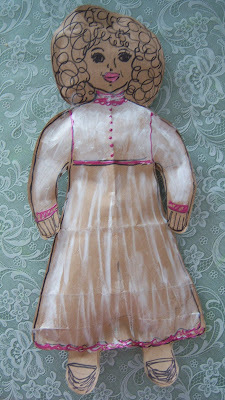 Draw your face and hair and dress details on one piece, before you glue it to the back piece. You will paint it all after it is glued together. On the other layer, glue a thin line of white glue, and press the top piece to it, securing it here and there with clothes pegs. When it is dry, cut a line down the back, and fill it with fiber fill, polyester or cotton stuffing, tissue paper, paper towels, or anything you have that would work. Tape it back together with MASKING tape, a brown tape that will match better and hold it better. After that, follow your outlines with darker pens for the face and hair. Paint with craft paints (not watercolor) for the dress. Look, she even stands, if you lean her against something. The pattern should fit a regular sheet of printer paper. 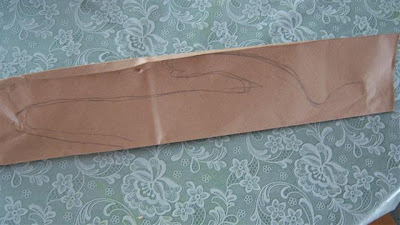 Paste it to cardboard and trace around it for your pattern. I forgot to show that you can glaze the finished doll with decoupage glue and it looks wonderful, with either high gloss or matte finish glue. Try painting the entire project with the white school glue for a nice finish. 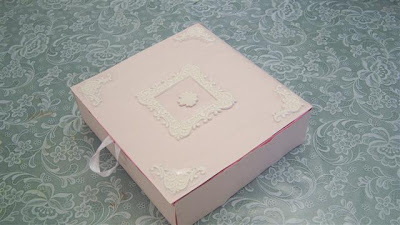 This little box has been made into a book. 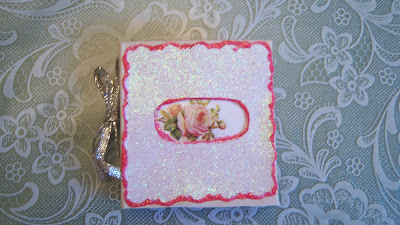 After it was covered in a plain paper, it was topped with a piece of white glitter-paper, then outlined in glitter glue. If you are working with children,remember, this has a drying period, and you may want to use strips of shiny papers instead. Inside the window-opening, I placed a rose sticker. You can use clippings from seed catalogs for this, or go to a free Victorian floral graphics site and print off your own clip art. These are some of the boxes I want to work with. I think the window opening could be quite interesting to use on the cover. 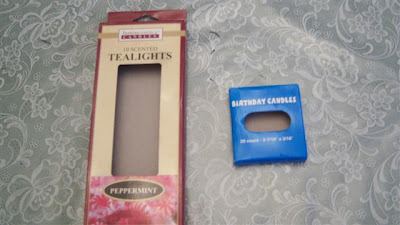 These boxes are very narrow and will not require many pages to fill. 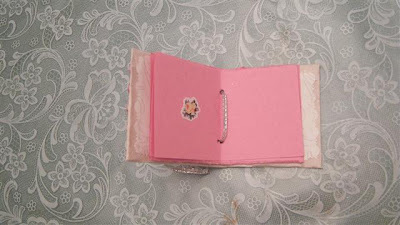 Cut off all the folding flaps and open it out to look like a book, like the this. Then trace around it for the papers to cover it, making it a little larger, so you can fold them over to the inside. 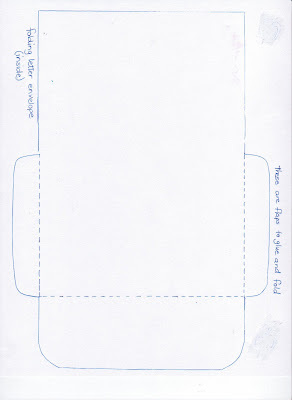 To make pages, trace around the box, only make them a little smaller than the box. 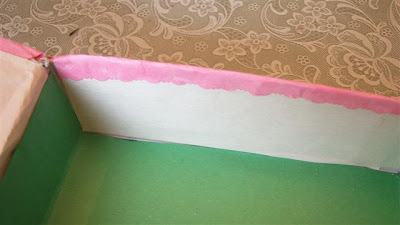 Here there are "end" papers made of scrapbook scraps, to place over the edges of the glued paper that was wrapped around the cover. 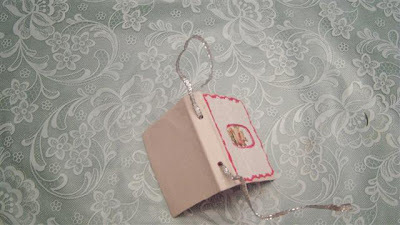 Punch holes through the binding of the box, and through the pages of the book, and thread a wired ribbon through it, or use string or some other interesting material. 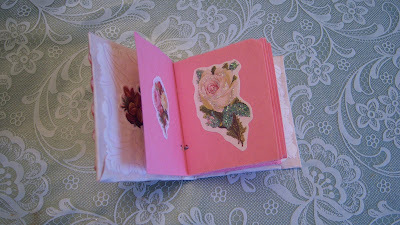 (The pages have a "rose" theme, and will have things about roses written on them, later. It will be used as a gift. Then tie it into a secure bow on the outside, like this. To answer the question "Why bother?" --This is a very good question. Why not just chuck it all into the rubbish bin and be done with it? For one thing, being creative is very good for the mind. The Pilgrims thought that idle hands would make mischief, and they were right. If you do not show your children how to make things with practically nothing, their hands will find other things to do that is destructive, instead of constructive. Some people think of "creative" as being a painter or a writer, or something that requires a lot of skill or talent. I wanted to show how you can take little bits of things and use them in a beautiful way. Once a person practices this, they can find more creative ability than they thought they had. 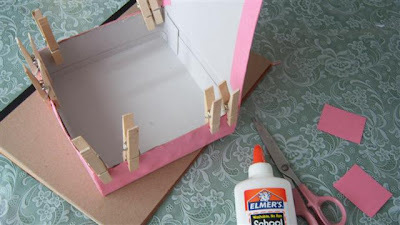 Try this project with anything you have on hand and see what you come up with. source: http://www.indiatogether.org/2003/apr/ivw-vandana.htm Although it was written in 2003, the issue is still important to everyone, especially for students and feminists: check out the article and see what issues are really important in the real world. 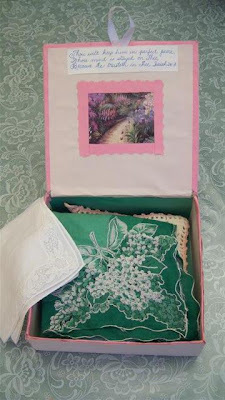 This Matzo box was a perfect size for storing antique ladies handkerchiefs and crocheted items of the same size. 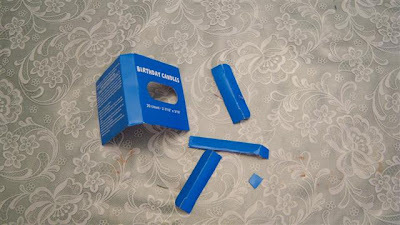 I needed something to put them in, temporarily, so I secured both of the ends where you would normally open the box, with tape, and made a new opening on the broad side of the box. The embellishments are paper craft stickers that look like wood mouldings. 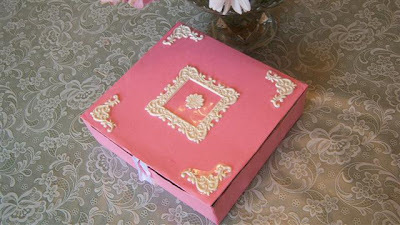 First, it was covered in pink paper, but I didn't care for it so I re-covered it in the white, as you see, above. This is children's construction paper, a pulp paper that is quite inexepensive. It is easier to wrap it around edges and corners, but I think this project could be done with colored tissue papers and thin art papers or scrapbook papers. After pasting paper on the outside, use white glue or paste from flour and water, to put a lining, or "end paper" on the inside. Secure with clothespins til it sticks or dries. I put my projects in front of a little space heater or out in the hot sun, to let them dry faster. This is just a piece of disposable type ribbon from a package, used to make a lifting loop for the lid. Just glue it down and secure with a clothespin. 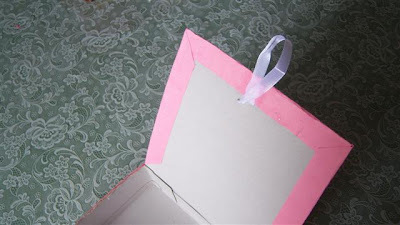 To refine the cut edges, make strips of paper with your scissors and create a kind of overlap or binding. Secure with clothes pegs til it is firmly stuck. 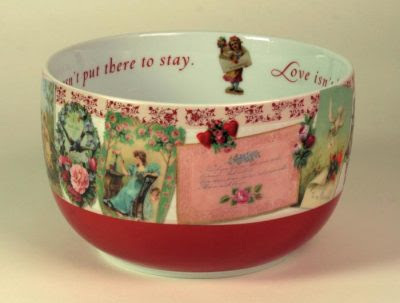 Then add a picture or some decor on the inside lid. Fill with your treasures, or use as a gift box. 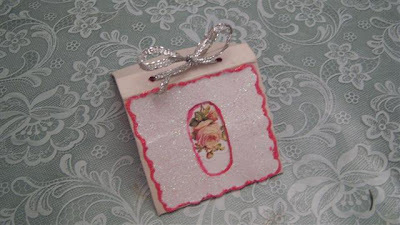 The embellishments on the top were from Miss Elizabeth scrapbook materials from Dollar Tree. I do not think this brand is being sold anymore, but you could make your own embellishments with various materials, stickers, or strips of paper cut from shaped scissors. Just cut some corners and strips and put the shaped sides toward the inside of the cover. Hope you enjoy this little homestead craft. I call it homestead because we used every available box and piece of cardboard from everything that came into the house, to make things with, when we were growing up on the homestead. Many other families did the same. Coming up in the future: "Were the Goths really the creators of what is called Gothic art, architecture, music, and other arts?" 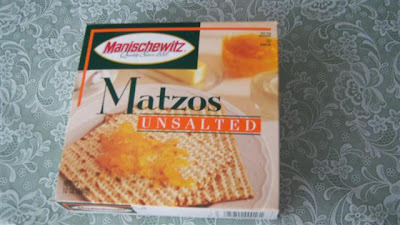 While I do not know what the religious beliefs of these people are, I know that they are sufferring terribly. This is a good site for students who are given extra credits for activism, to study. Feminists: please read that article to see what is going on in the real world. Click on for a larger view.This is not a "real" letter. 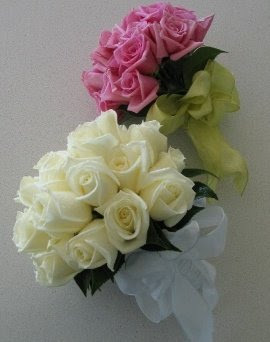 It is just a sample, to give some ideas for a friendly letter. 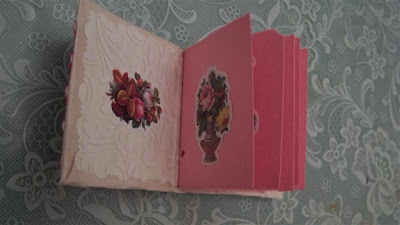 In lieu of personal drawings, use your rubber stamps or small stickers; cut out things from flower and gift catalogs. 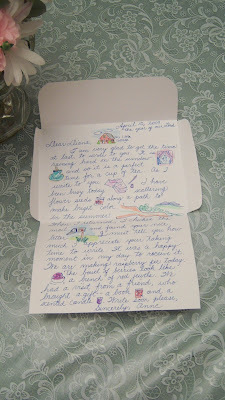 Here is a sample of an easy friendship letter that both adults and children can make. 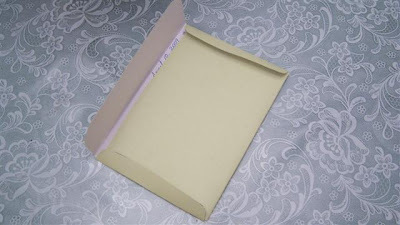 I have made you a simple fold up letter that doubles as an envelope. 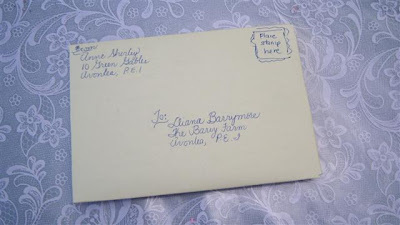 If you are at a loss for words, just write about any simple thing and illustrate it, as in this sample letter from Anne Shirley to her bosom friend, Diana Barrymore. Be sure to fold your paper on the folding lines before you write your letter. This is the way we address our letters. 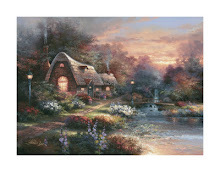 Put the address of the one you are sending it to, in the area I have shown, with the name on the first line, the street address or box number on the middle line, and the city and state or province on the third line. If it goes to another country, make a fourth line for it and write it in capital letters. This is how you fold the tabs and upper flap when the letter is finished. You can just use your glue sticks to swipe some glue on it. Press firmly, add your stamp, and off it goes to bless the recipient. 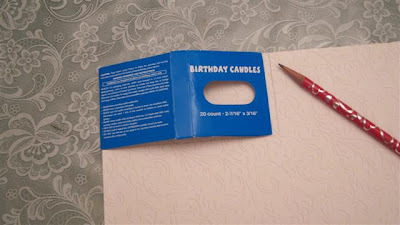 Print the template on paper and glue directly onto cardstock with white glue or a paste made of flour and water. 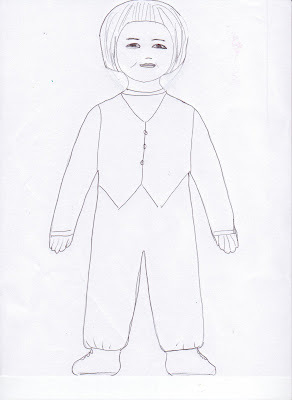 Cut it out and use it to trace around on a piece of paper of your choice. While I do not get to view my visitor numbers very often, I have seen them this week and would like to welcome the following countries. I know that some of you do not even speak my language, so I hope my craft illustrations can tell a story. I hope your visit here has been uplifting and informative. I have not been able to leave comments on other blogs due to time restraints, and today I began to make an effort to leave compliments on the blogs which visit me. I hope everyone will do the same to the homemaking blogs on my side bar links. It gives you very uplifting feedback, and it is much better to give than to receive! This is from Proverbs, the 2nd chapter. It contains the words seek, and search in it. Notice what it says to search for. Sometimes I see the key word searches that lead to my blog. Words like: table settings, home making, arranging a living room, writing letters, feminism vs. the Bible, and so forth, give me an idea of what people are searching for. Searching for knowledge that is lovely, good and pure, is something that will uplift the heart. It is interesting that the Bible uses the words "her" and "she" when referring to something as important as precious as wisdom, knowledge, understanding and many more things. "She" and "her" occur often in the Bible to personify things of value! 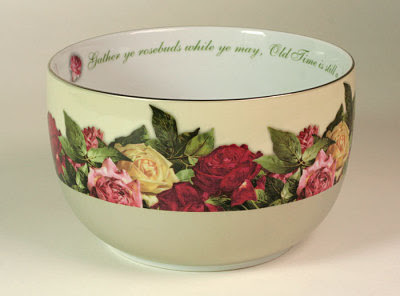 I love these pretty mixing bowls from Victorian Trading Company catalog. The following Poem I Dedicate to all Homemakers!